We at AES are aware that while professional builders and government agencies have an established familiarization with the importance of the roles that earth science and engineering play in development projects, the same cannot be said of every client. We understand that a portion of our potential clients have yet to acquire such experience and, therefore, do not know about the advantages to be gained from such services like a geotechnical report. But whether you are a seasoned professional builder or barely becoming introduced to the complexities and joys of land development, an AES engineering geologist is ready to extend to you a friendly and helpful hand; our team will provide you with the geologic and engineering assistance your project demands. When an environmental report is called for in Southern California, AES is ready to step up to the plate. So, if you need a primer — or just a minor refresher — our Frequently Asked Questions page has something for you. This page represents a compilation of our responses to the most common questions we have fielded from our clients. Keep reading and find the answer to questions like, What is a water quality test for? What is the difference between a soil report and geology report? Don’t they refer to the same thing? While soil report and “geo” report are often used synonymously, they refer to different yet related services. A soil report is prepared by a geotechnical engineer, or a soils engineer. A soil report is typically composed of a text portion, site plan, boring logs, some figures, and engineering calculations. Soil engineers analyze field conditions and soil laboratory data, perform calculations, and provide recommendations for building foundations. A geology report is prepared by a geologist or engineering geologist. Geologists discuss and analyze natural conditions and seismic hazards, such as earthquakes, landslides, high groundwater, or mudflow and debris flows, in greater detail than do engineers. In many geographical areas, the expertise of both an engineer and geologist is required prior to site development, such as hillside areas, fault zones, and areas subject to high groundwater. As such, most reports include both a soil engineering and geologic portion, and as such are referred to as soil/geology reports. Is a soil engineering report the same or similar to a soil contamination report, or a soil agronomy report? The term “soil report” can have many meanings. In the construction industry, soil report typically refers to a report of the physical and engineering characteristics of a soil which will be used as building material. A soil contamination report is a separate service, and requires testing of soil samples for contaminants such as solvents, hydrocarbons, and pesticides. Such a report often follows an environmental investigation, and is prepared by a professional geologist or engineer with experience in environmental consulting. AES has geologists and engineers with the necessary expertise to conduct these investigations and prepare recommendations for site remediation. Our environmental reports are reviewed and have been approved by a wide range of agencies, including local fire departments and the Regional Water Quality Control Board. A soil agronomy report provides test data and recommendations regarding a soil’s nutrient value, and is unrelated to either a soil engineering report or a soil contamination report. What are the typical phases involved in a soil/geology report, when is it required in the permitting process, and how long does a soil/geologic investigation typically take? summary and recommendations in a formal report. Soil and geologic investigations are typically required early in the site development and permitting process. In many cases, findings of the subsurface made in the exploration phase will dictate the placement, design and scope of the proposed structures on the site. An investigation and report can take from 2 weeks to 2 months or more. What determines the cost of an investigation? The cost is based on several factors related to the size of the site, proposed structures, and geologic hazards affecting the site. Drilling and exploration equipment, site access, and the presence of known or suspected geologic complexities also affects the cost of an investigation. Aren't all consultants the same or similar, and are not the products, in the form of reports, of consultants, essentially commodities? Often there are many ways of preparing the design of a project. One of the main factors that separate experienced consultants from less experienced ones is economical design, or value engineering. It is important to realize that a seasoned consultant that charges some x amount more than others can, and often does, save 10x or even 100x more in construction costs by delivering an economical design that continues to comply with code and safety requirements. As such, the answer is a definite no on both counts: all consultants do not produce the same results, and investigations and reports are not commoditized products. Who uses a soil/geology report? Architects, structural engineers, contractors, governmental agencies, and owners all benefit from the information provided in a soil/geology report. Does the price of a soil/geology report also include future services, such as plan review and signature, and construction phase inspections and observations? 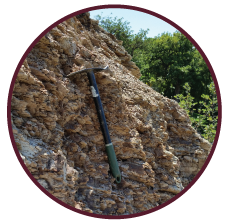 Typically, a soil/geology report is a stand-alone product and is not grouped with other related services. The reasons for this are plenty: projects changing hands between investigation phase and construction phase are not uncommon; investigations and construction-phase observations and investigation reports can be separated by a year or more; and it is often impossible to know the scope of construction-phase observation schedules prior to detailed construction plans becoming available. For these and other reasons, the initial cost usually quoted for a soil or geological report includes the report only. Future services that require the geotechnical engineer or geologist, such as plan review and construction-phase observations, are contracted and billed at the time the service is performed. What is the difference between an inspection and an observation as they relate to construction-phase services? Although they are often used interchangeably, inspection usually implies service in some quasi-official capacity, such as Deputy Grading Inspector or Deputy Methane Barrier Inspector. Individuals with the aforementioned licenses not only report to the soil engineer and/or geologist of record, they also report to the City Building Inspector and produce official forms for review and records. In order to become a Deputy Inspector, an individual with expertise in these fields takes a licensing examination, administered by the City. The need for specialized Inspectors is outlined in the International Building Code, California Building Code, as well as local building codes. At the current time, the City of Los Angeles is the main agency that licenses Deputy Inspectors in southern California, although other local governmental agencies and municipalities honor City of LA licensees. Deputy Inspectors are required to be present continuously during certain critical phases of construction, such as temporary shoring or methane barrier installation. The need for Inspectors is usually indicated in the soil/geology report Approval Letter, issued by the governmental agency. Deputy Inspectors may work as employees of consulting firms, or independently. Field observations, on the other hand, are performed by field engineers and technicians responsible to the soil engineer or geologist only, and do not serve in any official capacity, although their observation memorandums are submitted to the building inspector. Routine periodic observations that are required by a representative of the soil engineer or geologist include: footing, pile, and subdrain observations, and compaction/density testing. What other related services does AES offer in conjunction with soil/geology reports? Unlike many geotechnical firms that provide only soil reports, AES has licensed geologists, environmental specialists, hydraulic engineers, and Deputy Inspectors, in addition to soils and geotechnical engineers, in our staff team. As such, we are equipped with personnel, equipment and experience to provide a host of other services, such as geologic hazard reports, methane testing, environmental assessments and investigations, groundwater monitoring, and hydrologic and hydrogeologic studies. Please see our Services page for a list of related services provided by AES, or contact a specialist today to discuss your project needs. How are engineers and geologists licensed? Engineers and geologist are licensed in the state of California by the Board of Professional Engineers, Land Surveyors, and Geologists (BPELSG). Other states have similar licensing boards. To become an engineer or geologist requires a minimum of five years of professional work experience and passing several licensing examinations, in addition to the requisite college degrees in engineering or earth science.